Solar retailers participating the Andrews Labor Government’s Solar Homes program will have to sign up to a code of conduct to prove they meet the highest safety and quality standards. 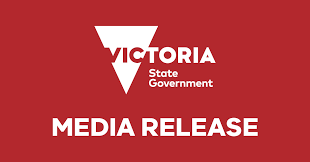 Minister for Solar Homes Lily D’Ambrosio today announced that from 1 July, the major solar retailers participating.. The Andrews Labor Government has launched a new online tool to help Victorians identify and investigate the quality of land and groundwater on their properties. Minister for Energy, Environment and Climate Change Lily D’Ambrosio said the Victoria Unearthed site would help property owners identify past..
Work is underway to build Victoria’s latest wind farm, including a Victorian-first underground transmission line which will set new best-practice for connecting clean energy projects to the national grid. The Minister for Energy, Environment and Climate Change Lily D’Ambrosio visited the site south of Mortlake..
Raids have been carried out across Melbourne this morning busting an illegal reptile smuggling ring attempting to sell Australian lizards on the black market overseas. More than 150 lizards have been seized since the brazen operation was discovered in June 2018 by Australia Post and.. Here are a few things all of us can do to get through the heat, help each other out and save power: 1.It’s always useful to save power. But on days like today, it’s more than just useful – it helps the entire state. Try..
Melbourne’s iconic Royal Botanic Gardens could soon be attracting thousands more visitors, with the Andrews Labor Government to provide a $5 million kickstart to a proposed new nature and science precinct. Minister for Environment Lily D’Ambrosio today announced funding for a feasibility study for a..